The Jeep® Brand partnerships are rooted in shared values and like-minded outlooks. Find your next adventure with one of our amazing partners. Jeep Action Australia Magazine has been publishing all things Jeep in Australia since May 2003. The magazine features Jeep Club articles, travel, owner profiles, model tests, Jeep history, technical reports and Jeep events from around the country. Whether you're a life long Jeeper or new to the Jeep lifestyle Jeep Action magazine is for you. Available in newsagents, or as a subscription, including an online digital version. Ausjeepoffroad (AJOR) was established in 2002, it is Australia's largest online Jeep only community, featuring news, competitions, vendor info, trips, online forum and much more. Be part of something big, join AJOR! The Melbourne Jeep Owners Club was established in 1997. It has grown to become the largest Jeep owners club in Australia. The club is a thriving, proactive club with many enthusiastic members from all age groups. New members are made very welcome and are encouraged to join in the regular club activities, trips, driver training and social events. The Sydney Jeep Four Wheel Drive Club is a non-profit organisation formed to promote and foster the ownership, appreciation and knowledge of appropriate use of four-wheel-drive Jeep vehicles. The club promotes driver skill and minimisation of the effects of recreational four-wheel driving on the environment by endorsing and adhering to the "Tread Lightly" philosophy. The Cherokee Club is a small but friendly club based on the NSW Central Coast. The places we regularly frequent include the Watagan Mountains and the Buladelah State Forest. The club was formed in 1989 to bring together Jeep enthusiasts but also those with Jeeps and an interest in 4WDing, camping and social events. The Jeep Club of New South Wales consists of all types of Jeeps from all over New South Wales. The club runs trips, and other social events for members and visitors are always welcome, just turn up and introduce yourself! The Coffs Coast Jeepers was founded in February 2004 and currently has approximately 20 active Jeepers. The Club is intended to provide an opportunity for owners and drivers of Jeep vehicles to participate in four-wheel drive associated activities and social events with like minded enthusiasts. The Queensland Jeepers Club was formed in 1981 to bring together Jeep owners, with the common interest of utilising their Jeeps off-road capabilities, exploring our great country and enjoying outdoor activities. 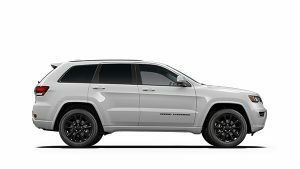 The Club comprises members of all ages and has many types of Jeeps, from military jeeps to the latest model JK Wranglers and Grand Cherokees. The Club is based in Brisbane with members from all over South-East Queensland. Club activities include monthly club meetings, 4WD & Scenic day trips, weekend camps, extended trip touring, social events and our famous sports days. Please visit our website If you're interested in becoming a member. The Sunshine Coast Jeep Club is family orientated and caters for family participation.Trips are scheduled every month in a variety of locations throughout south east QLD. Interstate trips are also scheduled. Our trips have a variety of easy to moderate trails.Club meetings are held every month to discuss upcoming events and swap stories about trips gone by. Meetings are currently scheduled on the last Wednesday of every month. The Adelaide Jeep Club was founded in 1999 and it currently has around 60 active members (plus partners). 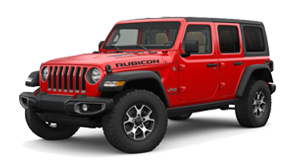 The club comprises people of all ages with a sense of proud ownership of Jeep vehicles and four wheel drive adventure. The Jeep Owners Club of WA was formed in 1994 to cater for the growing number of Jeep owners that wanted to learn more about their vehicles and enjoy 4WD events with like minded people. Our club is a busy, proactive club with many enthusiastic members from all age groups and many Jeep models are represented. ACTJeepTrAction is a not for profit organisation aimed at the beginner to intermediate level along with catering for the needs of those new to Jeep ownership. The club has about 30 active family memberships and encourages safe and responsible attitudes to off road driving. The club holds regular monthly meetings and outings within the Canberra region and new members are welcome to attend. The Brisbane Jeep Club is a group of like minded people who love their Jeeps and driving them off road. Vehicles range from stock to modified and in between. They have members with historical Jeeps and new Jeeps. The big advantage of belonging to a club is the wealth of knowledge, in this club's case, Jeeps. Safety is also very important and they are able to help you set up your Jeep for safe off-roading.